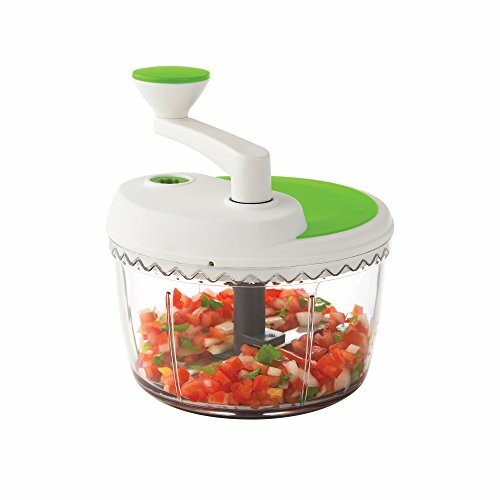 The Prepworks by progressive dual speed chop & whip has two speed settings that are ideal for chopping and whipping. 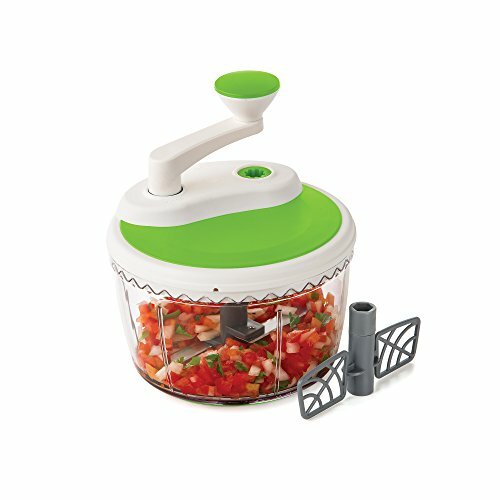 Insert the handle in the 'chop' gear (gray) for salsas, mincing onions, etc. 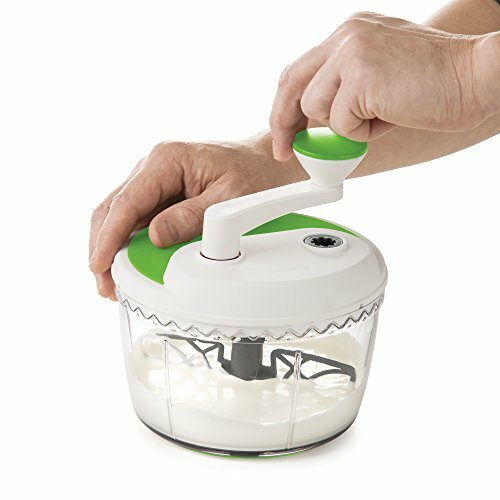 Move the handle to the 'whip' gear (Green) for whip cream, dressings, etc. 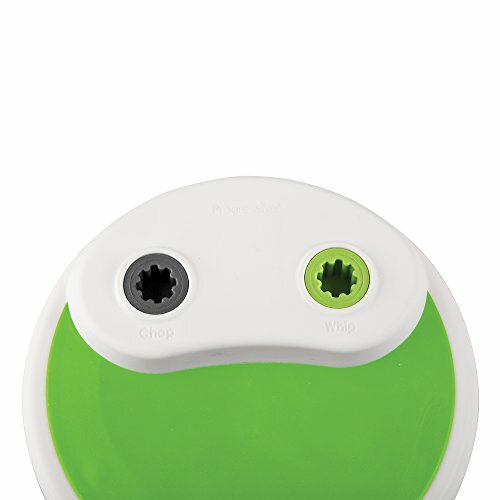 In the 'chop' position, the blade rotates 4 times around per full turn. In the 'whip' position, the blade rotates 8 times around per full turn. 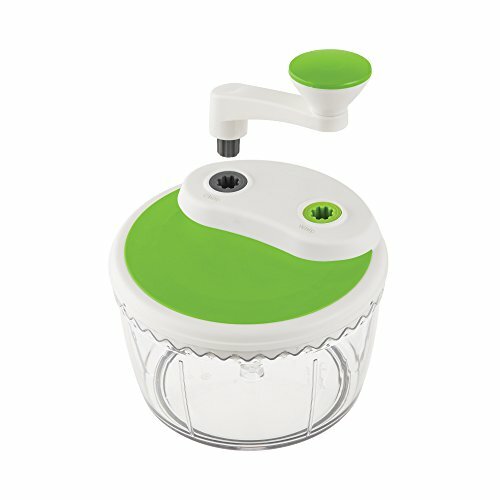 The handle can be rotated both clock-wise as well as counter clock-wise. 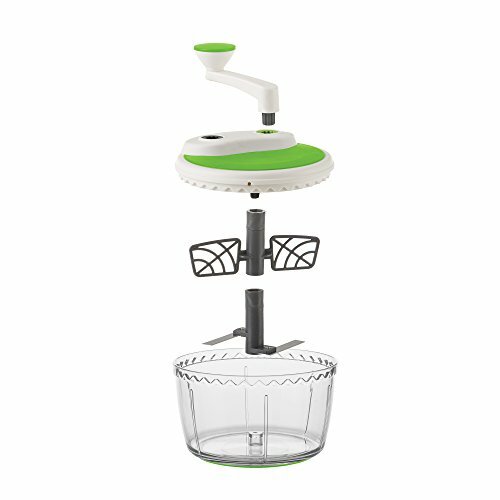 It has a large flat soft-grip lid and non-skid base for secure spinning. 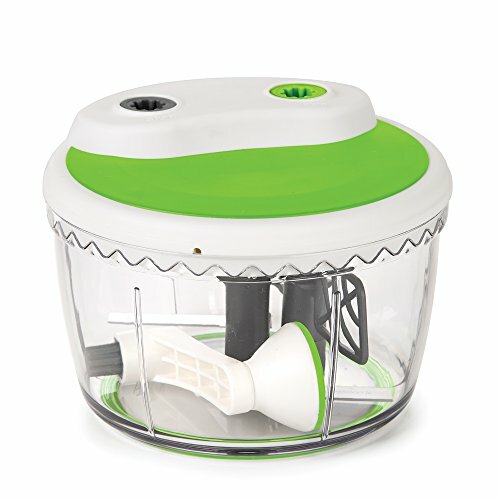 You can place the parts in container for easy storage. 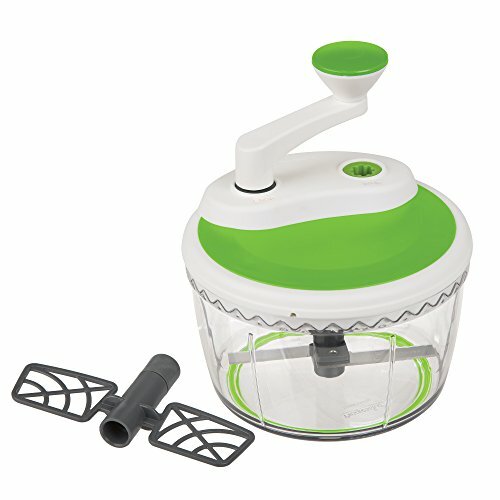 It has a 6-cup Capacity and is dishwasher safe. If you have any questions about this product by Progressive International, contact us by completing and submitting the form below. If you are looking for a specif part number, please include it with your message.